_ My teaching methods always include humor and a sense of adventure! Creative and dedicated professional with more than 20 years experience in the classroom. Skilled at classroom management and adapting to different styles of learning based on the individual student. Good communication with students. Proven work ethic and organizational skills. Assistant directed and choreographed after school theatre program. Created workshop lesson plans in musical theatre and Shakespeare and implemented them. Coached students in acting and staging of scenes. Created lesson plans in theatre and implemented them. Full time theatre and speech teacher during maternity leave. Followed lesson plans provided and created lesson plans as needed. 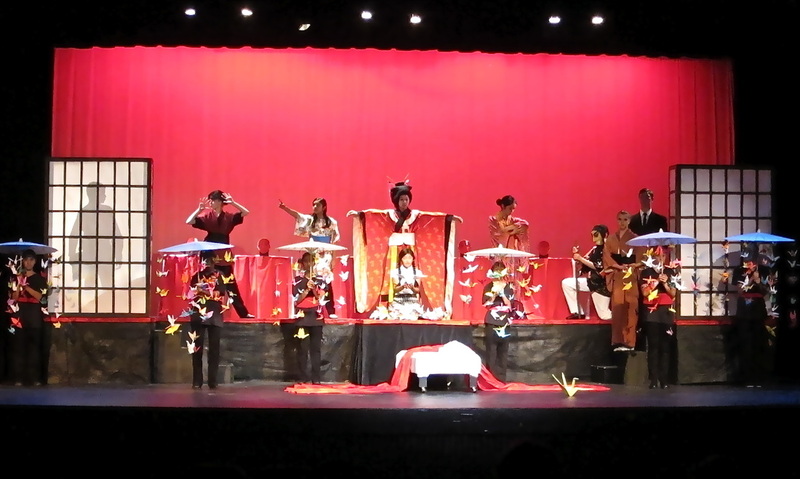 Directed and choreographed after school theatre productions. 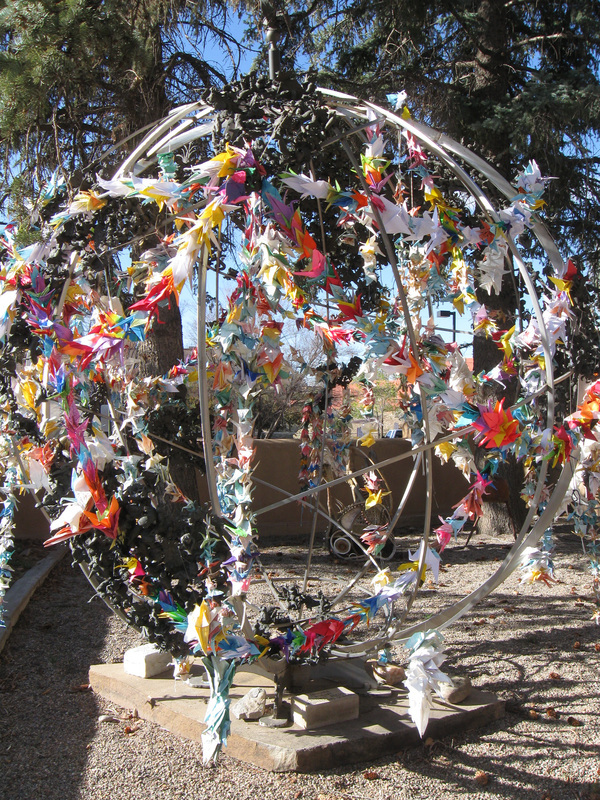 I sent the cranes to the Santa Fe Children's Museum who hung them on Sadao's statue to honor her and all who suffered and those who will suffer until we can all come together in peace.